Tis the season to be jolly and it is filled with lots of creative crafts! 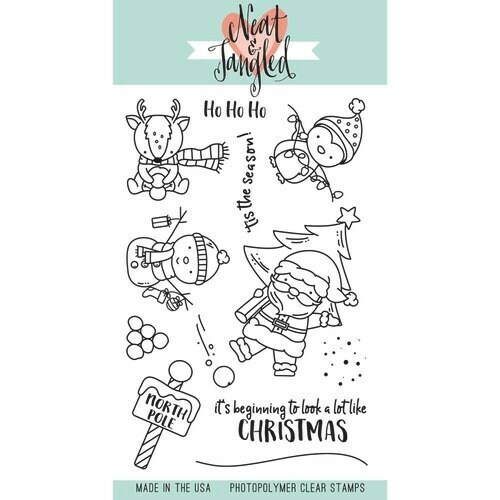 The Santa's Wonderland Clear Acrylic Stamp Set is just right for your Christmas cards, tags and pages. The package contains 12 stamps designed by Elena Roussakis for Neat Tangled. This set coordinates with the Santa's Wonderland Nice and Neat Die Set sold separately. The included dies measure from .325" x 1.25" to 2" x 3".